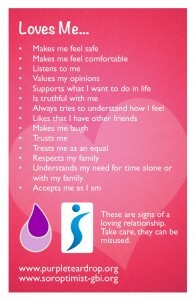 The Purple Teardrop Campaign has been in existence for a number of years, raising awareness and advocating on behalf of people, especially those who are caught up in a way of life that subjects them to violence, denies them their human rights and takes away their dignity. Recently the focus has been on the trafficking of human beings. Within this area the grooming of young people for the purposes of prostitution has been a special concern. We have developed two types of materials – Loves Me/Loves Me Not bookmarks and Loves Me/Loves Me Not cards. Bookmarks may be more appropriate for use in schools and the cards more suitable where discretion is required. Loves Me/Loves Me Not bookmarks and cards have been distributed widely, including to young people, their parents and grandparents, teachers, social workers, probation officers and frontline professionals. Young people in particular can easily become targets for the unscrupulous who see their vulnerability as a means to exploit them for financial purposes. The intention of providing the bookmarks and cards is to question what makes an appropriate relationship. In particular they are useful as tools to use within schools and youth groups, the health and social care sector, women’s groups, adult education centres and third sector organisations. 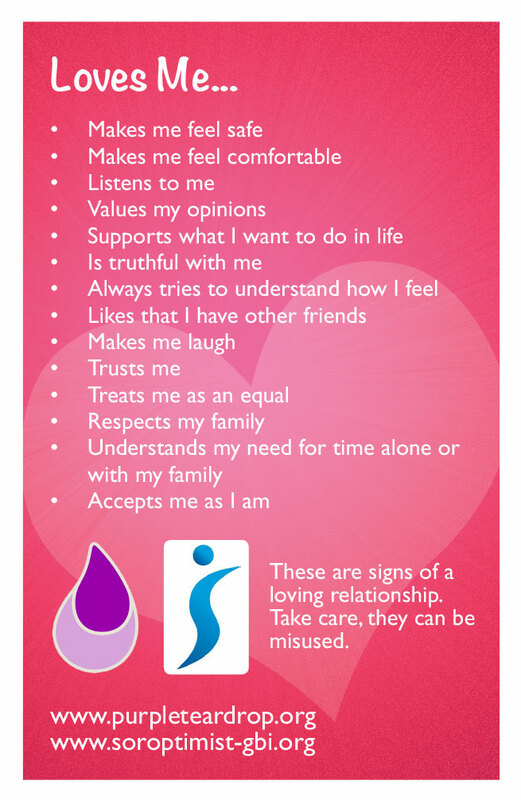 It is important to remember that The Loves Me/Loves Me Not bookmarks and cards are a positive step in allowing people to assess the quality of new or developing relationships. They provide the opportunity for girls and boys and men and women, to think carefully about their relationships and provide warning signs to look for when they become the focus of special attention. When considering the distribution of the bookmarks and cards, it is important that people are not made afraid of relationships. Giving them the bookmarks and cards is an opportunity to evaluate their relationships and help them make considered decisions.